We are all experienced sailors and will give you the best advice. Bring your sails and rigging to us for a complete overhaul - we will thoroughly check them over and carry out any necessary repairs. Onboard inspections can be carried out where required. We are able to estimate or quote on the repairs needed, and offer advice on different repair options and methods. We carefully inspect the condition of sails before carrying out repairs and check whether the sail cloth is sun damaged or stretched. 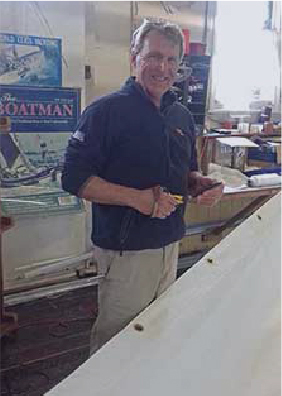 At James Lawrence we believe that sail repairs should be strong and reliable and we have an extensive range of material types and colours in stock to enable us to repair your sails as invisibly as possible - there is nothing worse than an ugly and poorly carried out sail repair! If you are unsure or have concerns, ask us - we are all experienced sailors and will give you the best advice. We are happy to and regularly carry out damage assessments for insurance purposes. We also offer a comprehensive sail and cover cleaning service. Along with general atmospheric grime we are able to remove mould and mildew, and most rust stains. Extend the life of your covers by re-proofing which not only repels water but helps stop the covers getting so dirty. This can be carried in addition to the valeting service. 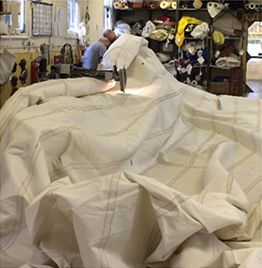 James Lawrence are the leading traditional and classic sailmakers in the world – no other sail loft has our range of experience in the traditional and classic market. 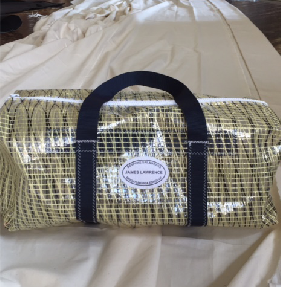 We use all fabric types including Dacron/Terylene, laminate sailcloths, Duradon and Clipper Canvas. Natural cotton and flax canvas are a speciality of ours. 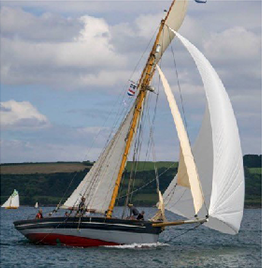 Bring your sails and rigging to us for a complete overhaul – we will thoroughly check them over and carry out any necessary repairs. 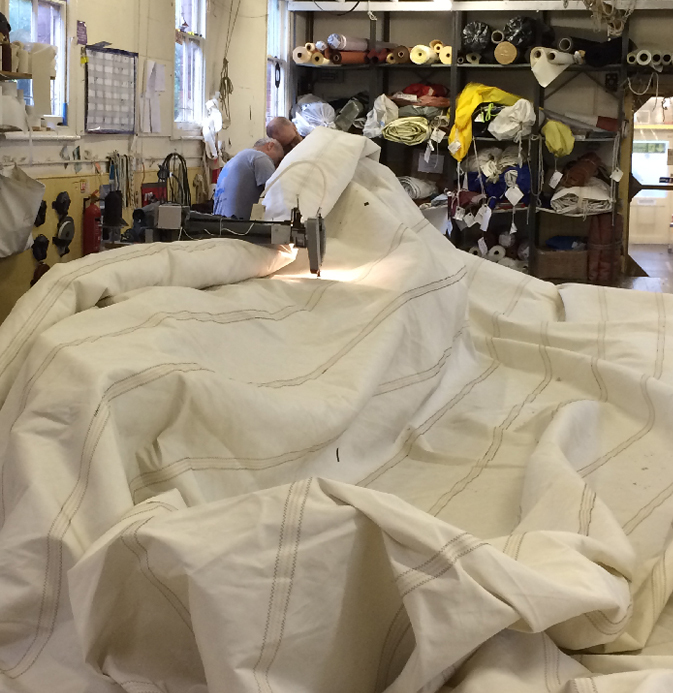 Along with made to measure boat and sail covers, spray hoods and dodgers, and other boat accessories such as flags, banners and holdalls we offer a full service in non-sail accessories such as awnings, garden gazebos and swing chair covers. If you have a project in mind, we can help!